Do you need a tree surgeon in Essex? Our Romford Tree Service can help! 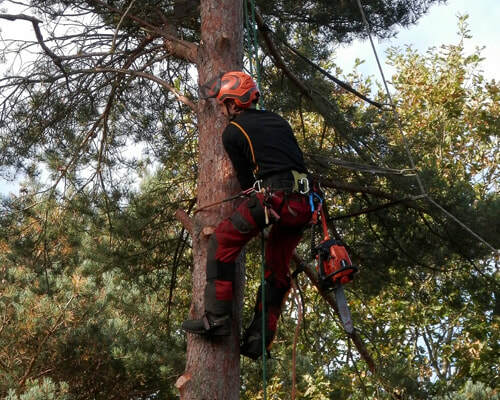 ​Our tree cutting service is offered to commercial and domestic property owners across Essex. 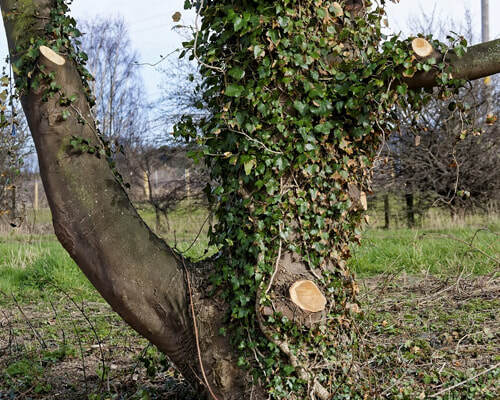 If your garden is failing to look it’s best because of overhanging trees, dangerous trees, untidy hedges or tree stumps that need removing – then look no further. We have a team of experienced tree surgeons that can tidy up your problem, however big or small. Gain a garden appearance that will be the envy of your neighbours and give our tree surgery service a call today on 01708 578 017. Our experienced team of arborists are also able to inspect and diagnose a dangerous or diseased tree. In the case of a diseased tree we will advise you on the best course of treatment. The tree officer of your local council will be able to advise if the tree is covered by a TPO. For more information please check out Gov.uk. Watch this video for a bite-sized glimpse of what we can do? Havering: Romford, Hornchurch, Upminster, Rainahm Harold Wood, Cranham, Havering-atte-Bower, North Ockendon, Noak Hill, Wennington and Aveley. Let us take away your headache and access those difficult to reach trees that spoil the look of your garden. Tree pruning on a regular basis will ensure that you get your tree looking its best. We have the equipment to access large, medium or small trees to ensure that there is minimal disruption to you and other plants in your garden. If the size of your trees has crept up on you and is proving to be difficult, becoming a nuisance or proving to be a danger, give us a call and we’ll come and assess your problem for free. We always remove trees using the latest rigging techniques and equipment to ensure that the process is undertaken in the safest way. If your trees have outgrown their space, do the right thing and call us now for our tree removal service. If you have a small to medium sized garden that has tree/s taking up too much room, this annual process could be for you. Pollarding is a method of pruning that keeps trees and shrubs smaller than they would naturally grow. The entire head or crown of the tree is removed that restricts the height of the plant. Another method that we apply to trees is called crown thinning. If you believe that the centre of your tree is crowded with too many shoots or crammed with dead shoots we can apply this method that will allow more light into the centre of the tree by extracting the unwanted shoots. 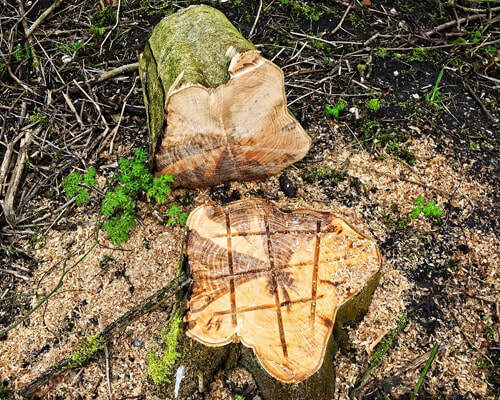 Often, we come across homes and businesses that have had trees felled, but the stump remains. We frequently remove unwanted stumps by using a stump grinder that chips away at the wood until gone. Why not get your hedges trimmed when we come and attend to your other gardening needs? Regular trimming of your deciduous or evergreen hedges promotes healthy growth and ensures that your hedges look their optimum for as long as possible. Has one of your trees become unstable? If you believe that there could be a risk of one of your trees falling over and damaging you or your property, then get in touch. We prioritise our jobs on a daily basis and will always endeavour to assess your problem as soon as possible.